Millions of people decorate their home and business every year and many more would like to participate, but they just don’t have the time the energy to do it once the holidays start getting hectic. We have a solution for that problem here at Green Leaf, and you can receive professional help that will do it for you. We offer complete installation and decorating services from rooftops to walkways and everything in between. Whether you have a residential or commercial property, you can utilize the finest decorating products in the market today. Our people have been carefully trained to provide an unparalleled quality with the highest level of professionalism. Just as is the case with our full line of landscape services, we can use your existing lights and decorations or we can provide them and your holiday will be lit up like never before. Even after the holidays are finished our crew will come back and take down the lights and decorations so that you can have a stress-free holiday season and enjoy the time with your family and loved ones. Give us a call today to figure out how we can get a quote for free to you about installing your Tulsa Christmas Lights this season. Our number is 918-640-6405 and you can also visit us online 24 hours a day, seven days a week at www.greenleafweedcontrol.com. At Green Leaf we also have a team of Turf Enhancement Engineers. We believe in supplying only the best of the people of Tulsa, Oklahoma. This is why we provide every customer with fully certified, spray technicians. They are certified by the Oklahoma Department of agriculture and are equipped with the proper licenses to bring you the very best Tulsa weed control. 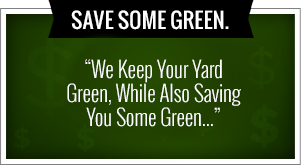 With this knowledge in hand, all of our customers have the confidence they need to choose Greenleaf lawn services. Green Leaf have all of our own lawn trucks that are easily identified with the Green Leaf logo and license numbers. As Turf Enhancement Engineers, we are more than equipped with the right chemicals in our team is always wearing proper attire that complies with all state regulations. Top-of-the-line spreaders and sprayers were guarantee that your lawn is greener than ever and we free no matter what time of year. You can count on us to get the job done right. If you’re looking for professionals to decorate your Tulsa home for the holidays, Green Leaf is here to the rescue. We are ready to help out during the holidays and get your property looking brilliant and fantastic. Don’t let the holiday stress you out this year, you just simply need to sit back and relax and let us take over the putting up of the lights for your household. We create a perfect holiday atmosphere and you don’t even have to lift a finger or climb a ladder. We will install and test the lights to make sure they are working and allow you to enjoy the rest of your day. We will even assist you with the removal and storage. At Green Leaf we offer Tulsa Christmas Lights and Tulsa Holiday Lighting Installation for homes across the Tulsa area. We pride ourselves on excellent service in making the homes look beautiful in our surrounding village. We are so much more than just a Tulsa Christmas Lights firm. We also have a variety of different services including all types of lawncare through all seasons. Give us a call today to see what we can do for you and your home or business at 918-640-6405. 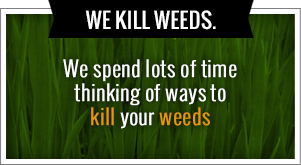 You can also visit us online anytime at www.greenleafweedcontrol.com. As the temperature start to cool down, there’s still a lot of work to do on your landscape. Some of the work is an effort to prepare for the cold temperatures while other tasks are to ensure a healthy growing environment one spring rolls around once again. Whatever the reason you may have, you should definitely discuss fall cleaning and leaf removal with your professionals in Tulsa lawncare. Our name is Green Leaf and we been providing service for the people of Tulsa for a number of years. While many other Tulsa lawncare companies do offer fall leaf removal, there are some steps you can take in between visits. Raking leaves is almost as American as apple pie, but you may not know how beneficial this habit actually is. If leaves are left on your Tulsa line, the turf beneath it will not have adequate access to sunlight, water on it, and other nutrients that it needs especially during the daytime. Now that the daylight is fading in the city of Tulsa in these winter months, you need to remove all of those excess leaves that have fallen down.